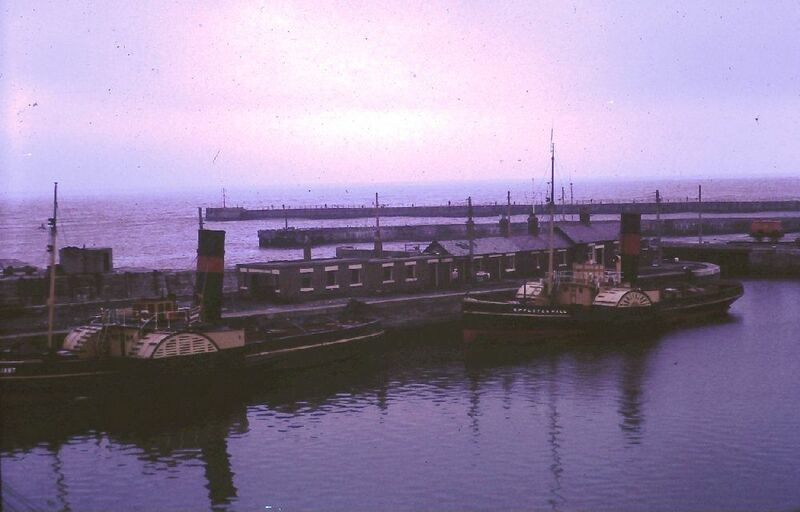 Eppleton Hall is a preserved British tug, having sailed under her own power to the Pacific coast city in 1969, having finished her working life at Seaham harbour on the north-east coast of England in 1967. 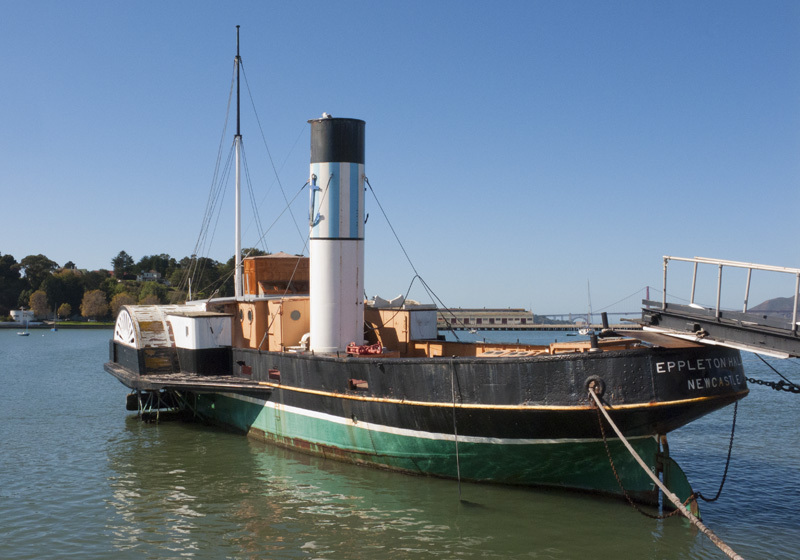 She is now at the San Francisco National Maritime Historical Park alongside other vessels including the preserved San Francisco Bay paddle steamer ferry "Eureka". Seaham, Co Durham, England in 1968. Eppleton Hall is moored behind Reliant, which was also preserved in part for a short time - at the National Maritime Museum at Greenwich, but has now been lost apart from a few items. Photo by Alan Hoggett shown by kind courtsy of Kevin Hoggett.